Badhaai Ho has already crossed the Rs 130 crore mark at the global box office and is soon expected to enter the Rs 150 crore club. 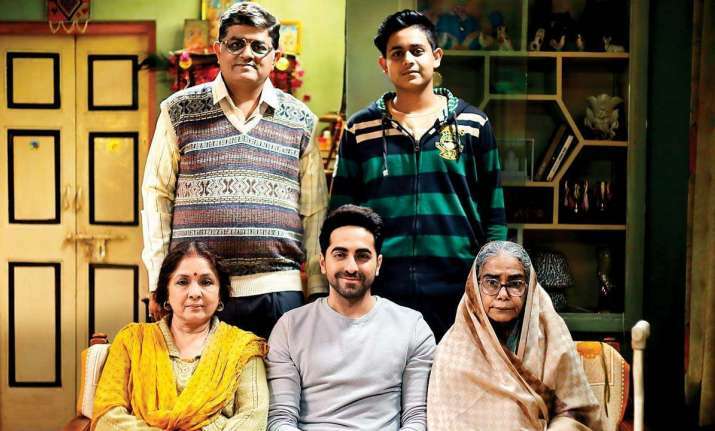 Badhaai Ho, starring Ayushmann Khurrana, Sanya Malhotra, Neena Gupta and Gajraj Rao, is doing extremely well at the domestic box office. The film, produced by Junglee Pictures, earned Rs 2.60 crore on Monday. That is an impressive figure considering that the film was not a solo release last weekend and is battling other Bollywood and Hollywood films. Trade analyst, Taran Adarsh said, “#BadhaaiHo maintains a healthy trend on second Mon... Should cross ₹ 90 cr mark on second Wed... [Week 2] Fri 3.40 cr, Sat 6.60 cr, Sun 8.15 cr, Mon 2.60 cr. Total: ₹ 86.85 cr. India biz”. #BadhaaiHo maintains a healthy trend on second Mon... Should cross ₹ 90 cr mark on second Wed... [Week 2] Fri 3.40 cr, Sat 6.60 cr, Sun 8.15 cr, Mon 2.60 cr. Total: ₹ 86.85 cr. India biz. While it is all set to enter the Rs 100 crore club in India, the light-hearted family entertainer has surprised everyone with its huge business as it grossed Rs 31.20 crore. The circuits, which contributed heavily in the business were USA-Canada, UK, Australia, New Zealand and UAE-GCC. The film has already crossed the Rs 130 crore mark at the global box office and is soon expected to enter the Rs 150 crore club. Interestingly, Badhaai Ho is Ayushmann's second release in October after AndhaDhun, which was also a successful affair at the box office. Badhaai Ho is a family comedy about a middle-aged couple with a son of marriageable age, who suddenly find themselves expecting a baby. The film, which tackles the societal taboos surrounding this pregnancy in a humorous way, has been directed by Amit Ravindernath Sharma. Badhaai Ho, a joint production venture between Junglee Pictures and Chrome Pictures, released on October 18.